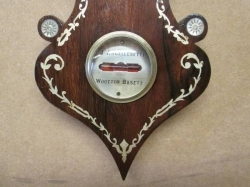 A rosewood 4 dial barometer (hygrometer, thermometer, main dial and signed spirit dial). 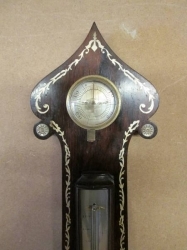 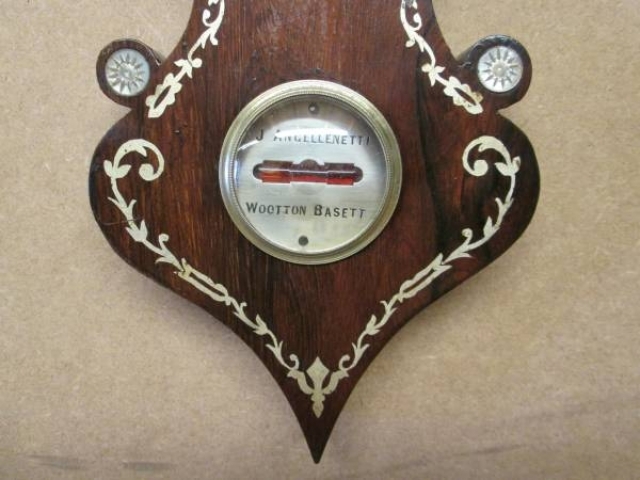 This fine and original barometer was made by J Angellenetti of Wootten Bassett, he is recorded in Youngs Wiltshire watch and clockmakers book as working until 1851. 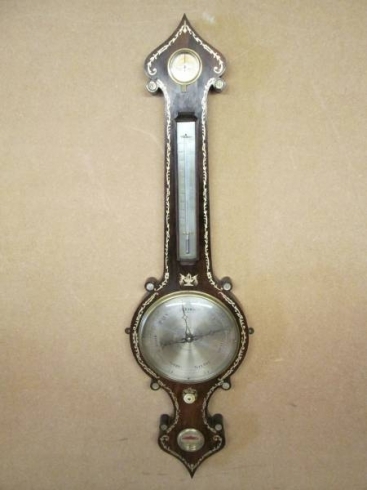 The barometer has floral chased edging and the pediment is of the onion style. 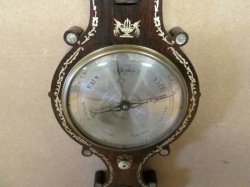 Mother-of-pearl roundels beautify this exceptional example. Carefully cleaned and serviced and is in 100% working order. Dimensions – height 100 cms, width 26 cms, depth 6 cms.